Halloween is a big deal in our house so having just one pumpkin for carving and display just won’t cut it. This year my 2 plants (‘Howden’ and ”Connecticut Field’) produced 12 pumpkins! I planted seeds the third week in June and fruits were ready to harvest at least two weeks earlier than normal. So what to do? 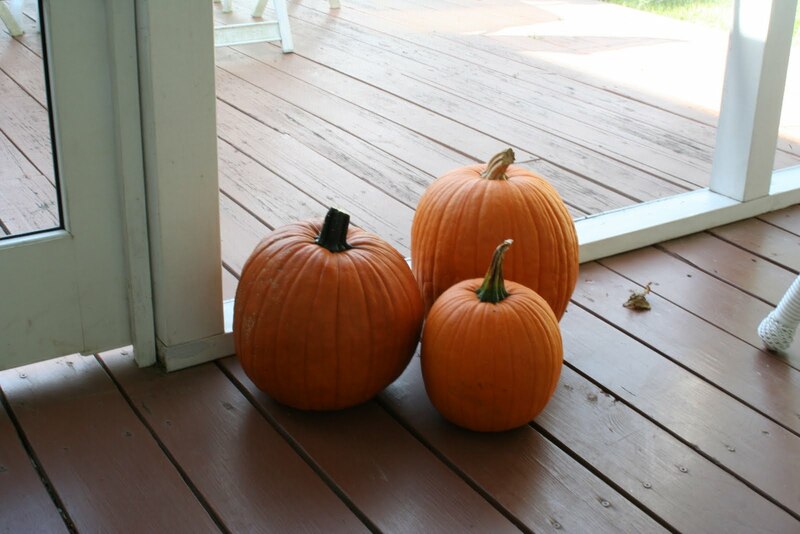 I like to store my pumpkins on the floor of my basement. The temperature is about 68 degrees F. and the humidity is fairly high even though I have a de-humidifier. I space them out a bit and if I’m really ambitious I place them on a wooden pallet. 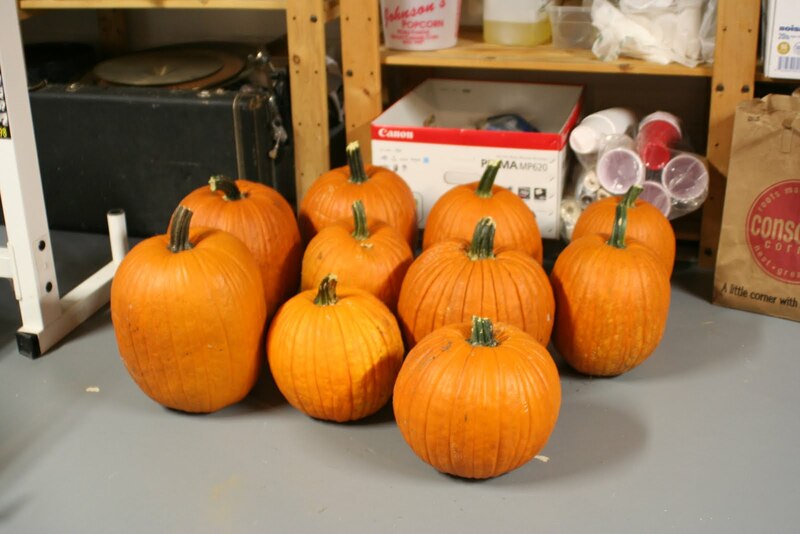 Some gardeners wipe down their stored pumpkins with a weak bleach solution to kill surface pathogens. 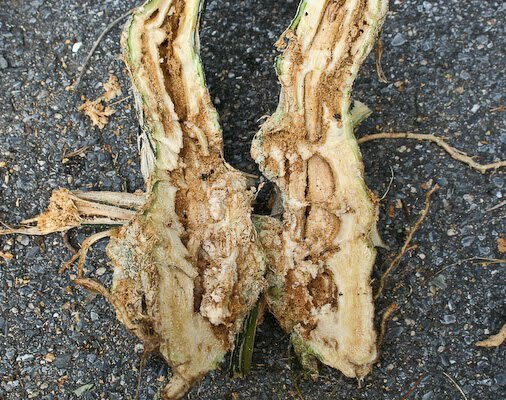 After cutting the last pumpkin I pulled up the vines and saw signs that squash vine borers had visited- lots of frass and chewed stem tissue. I observed an adult borer flying around my zucchini plants in late July and assumed it was the second generation of this pest this year. I wonder if the injury in the photo was from second generation borers? I was surprised that the plants grew and produced so well with no obvious signs of wilt. My zucchini plants (planted June 20) were also infested but kept fruiting through the summer. Just goes to show that healthy plants can sometimes withstand borer feeding. ← Veggies & herbs as "flowers"?